We’re off to the windy city this morning. How do you think we spent last night? Packing? No. Beating the 90+ degree heat by swimming in the river? Definitely not. 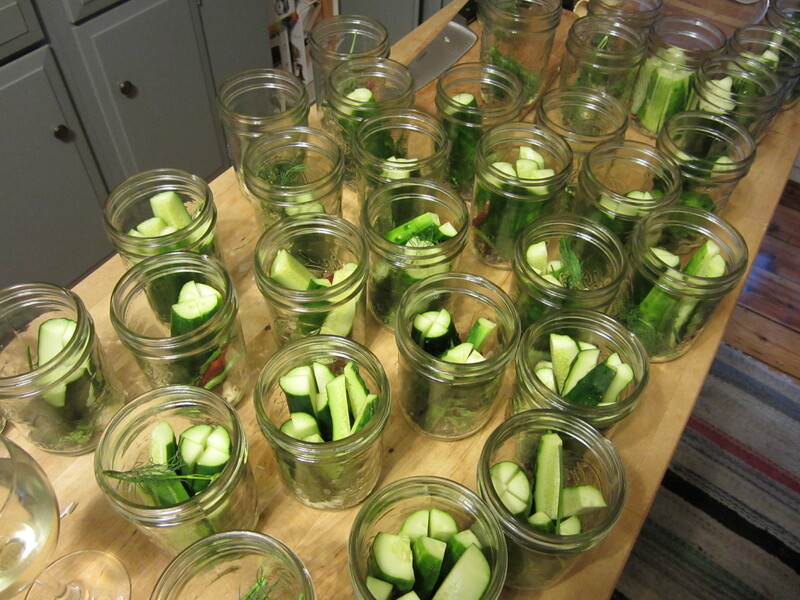 Pickling and canning twenty-five pounds of cucumbers in our sweltering kitchen late into the night? Ding ding ding ding! Clearly, we’ve got our priorities straight. One of our objectives this year is to make Christmas gifts almost 100% handmade/homegrown. That of course means making use of extras from our garden and CSA and putting by delicious fruit and veg for the winter months. So when a half bushel of cucumbers comes knocking, you don’t look the other way. 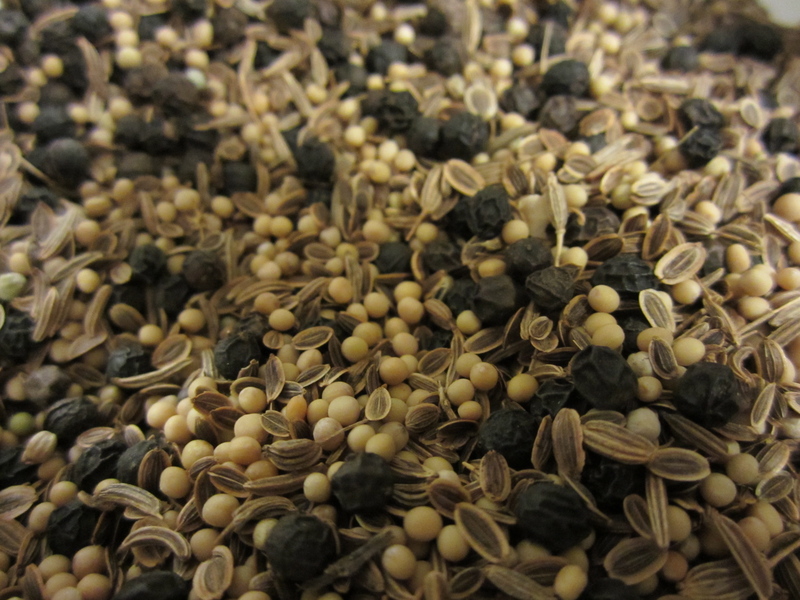 We diverged from last year’s recipe, opting to throw together our own spice combination instead of relying on a pickling spice mix from the store (we’re not so fond of the allspice flavor in pickles), adding cumin, dill seed and herb, black pepper, spicy red peppers and mustard seed. Looks a little like bird seed, no? 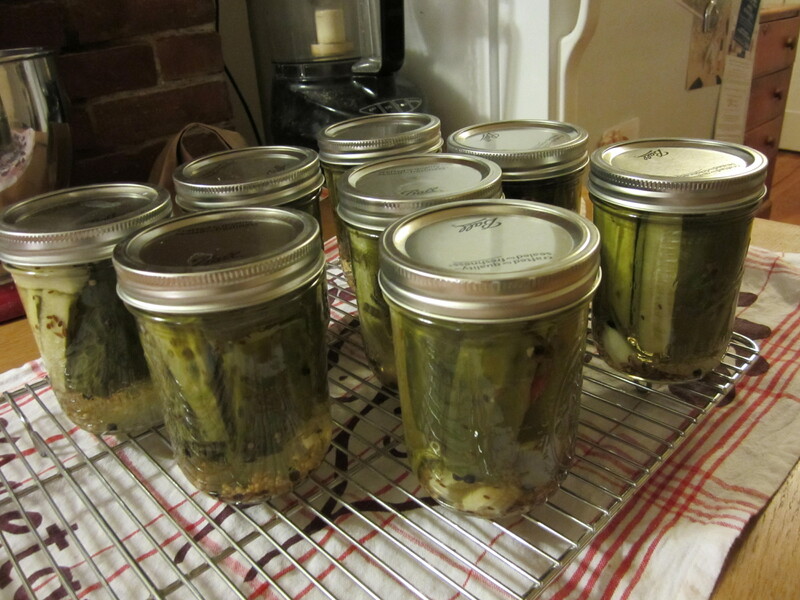 By the end of the night, we had 36 cans of pickles and a bucket with more, lacto-fermenting (is that a verb?). Not too shabby! 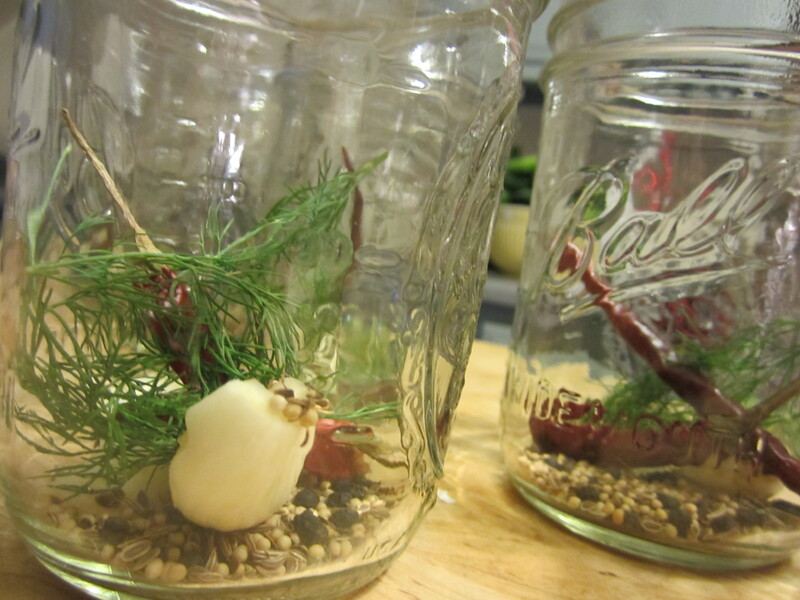 What are you canning?